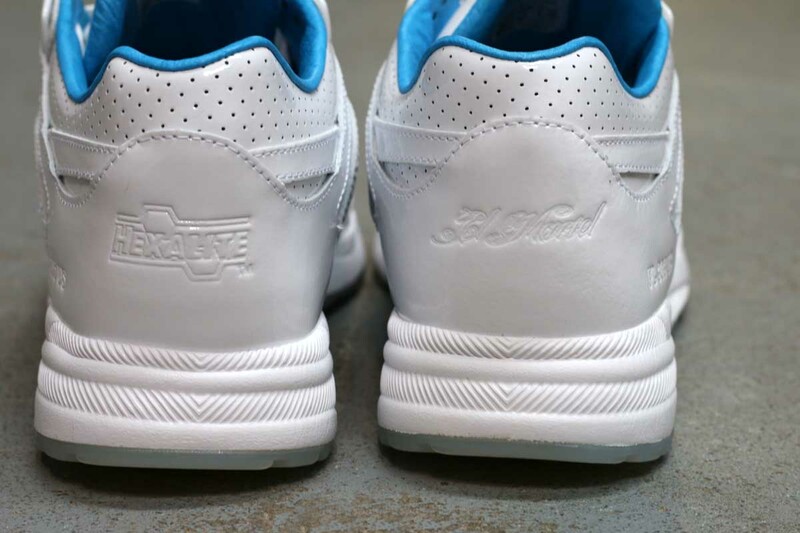 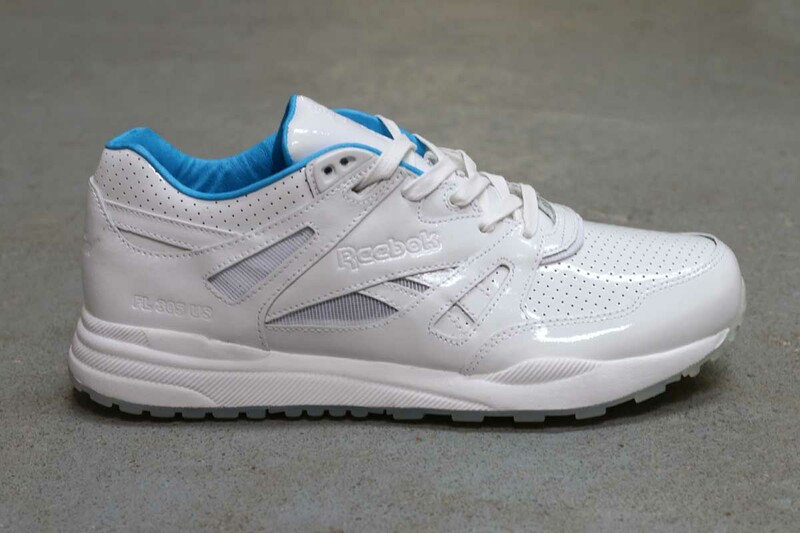 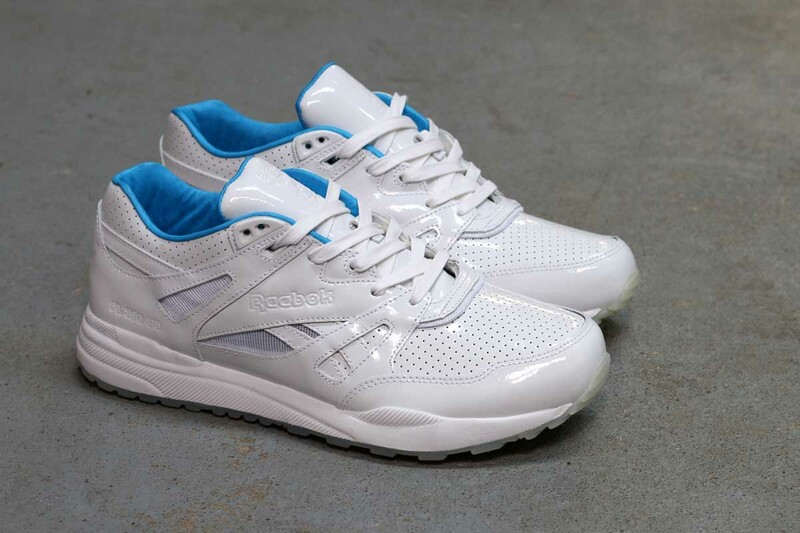 Shoe Gallery collaborates with Reebok in celebration of the 25th anniversary of the Ventilator running shoe. 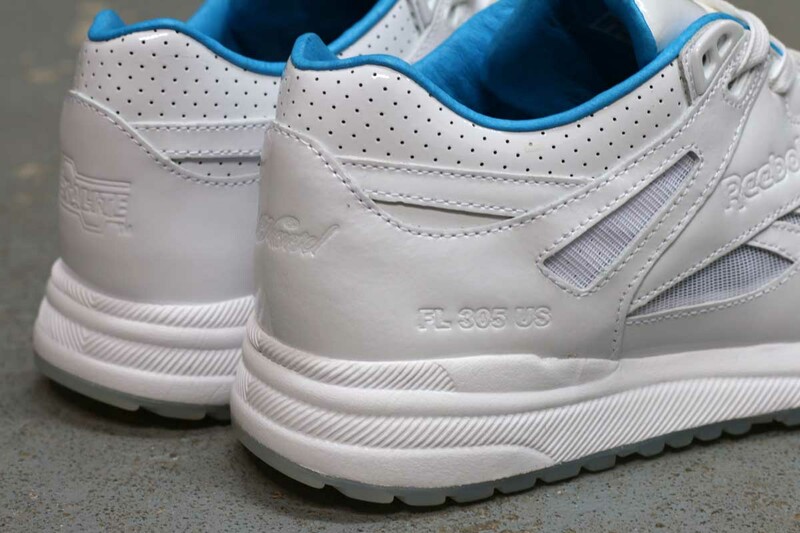 Entitled the “El Mariel”, the inspiration for this release comes from the Mariel boat lift emigration of 1980, in which thousands of Cubans emigrated to Miami. 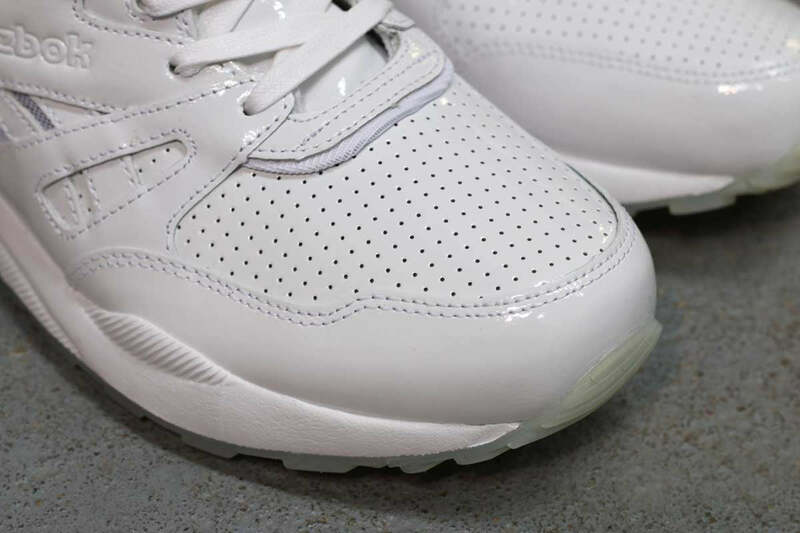 The upper of the shoe is a shiny white patent leather with perforated sections on the collar and toe box. 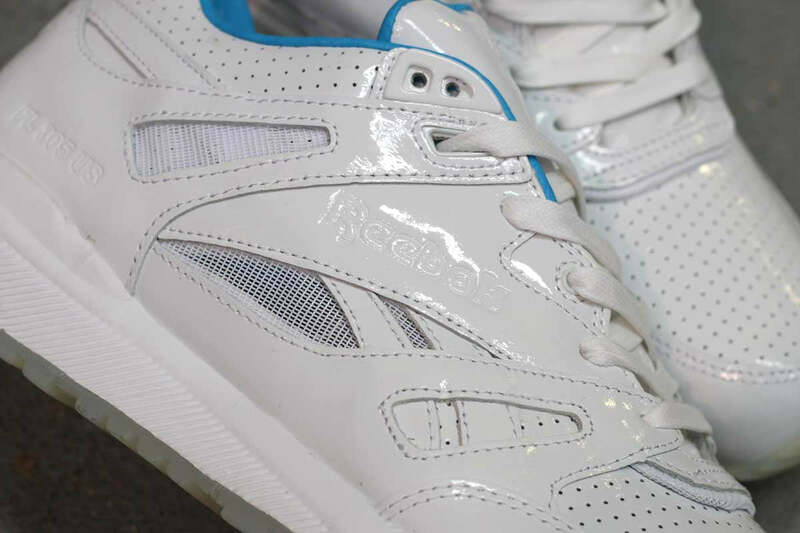 The blue sock lining and footbeds imitates a yacht interior while other nautical details include an anchor on beneath the translucent outsole and an embossed boat registration number on the heel.